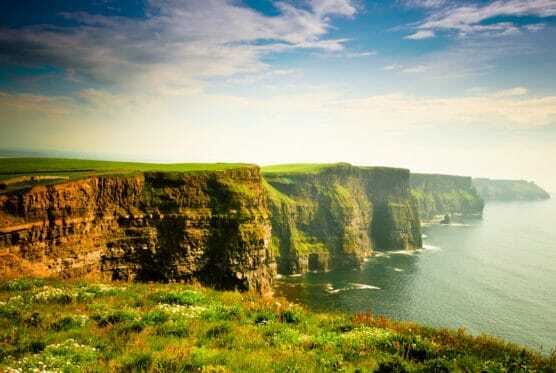 If you’ve ever had a chance to visit Ireland like I have, you know what an amazing place it is to visit, and to run. So with this list of races, we turn our eyes to Ireland, a place where you can run in places as different as the bustling streets of Dublin or as far away from the crowd as southern Ireland, in places like Cork. All throughout this race, runners will encounter the sights and sounds that this wild, rugged region of the country is known for: stone fences, rocky brown-and-green hills and mountains, rainy and misty weather conditions, sheep herds grazing free along the road, and the warmth and friendliness for which the Irish are known. Runners and walkers get to take a scenic view of the town and its surrounding environs here on the southeastern tip of Ireland, along a course that features plenty of views of the waters of the Wexford Harbor as well as the rural countryside just outside town. With a course that takes participants from the village of Glengarriff overlooking the bay’s northern shore to Bantry along its southern side, this race features much of the magnificent scenery for which this part of the country is known — high mountain ridges, streams cascading down, and hilly green pastures, lakes, ponds and forests in between. Named for the natural limestone deposits of this part of Ireland — the country’s rugged, untamed western region — this race unfolds through the Burren, whose ancient limestone formations contain dozens of caves and ancient tombs, and where you can find the ruins of forgotten villages and what locals call “green” roads, where you can walk for miles without ever seeing a car. Sparsely populated and characterized by the same green, rocky hills that are found throughout its larger neighbor to the southeast, the Republic of Ireland, the island of Inishbofin plays host to this race on a beautifully scenic, peaceful and pastoral island just off the coast of Galway, near Ireland’s Connemara region in the northwestern part of the country. Sometimes called “the most scenic half marathon in Ireland,” the Half on the Head unfolds largely along the Wild Atlantic Way, offering up the verdant scenery of Ireland’s wild western coast, a land famous for its wind-whipped meadows atop soaring cliffs as well as peaceful, serene beach towns in the lowlands near the coastline. By turns shrouded in ocean mists and bathed in the warm summer sunlight of early July as the race progresses, the course for Ireland’s annual Achill Half Marathon features ample views of the rugged, untamed natural beauty for which this westernmost region of the country is known. Runners get a chance to trek through the fields, glens and rural roads of the Irish countryside right in the center of the country at this race, which takes place in the town by the same name that sits near the geographic center of this island nation. The first weekend of August brings Dublin’s installment of this U.S.-based race series, which runs through the famed Temple Bar area, past the legendary Guinness Brewery, and through the scenic Royal Hospital Kilmainham grounds on to the finish line in Phoenix Park. Though technically it doesn’t take place in the Republic of Ireland, this race offers a winding run through one of the most gorgeous cities on the island, as you’ll run twice across the River Lagan, past the Belfast City Hall, and through Victoria Park. Called “Ireland’s most scenic marathon” and winner of the country’s half marathon of the year award in 2014, the Dingle Half is challenging, with terrain that follows the natural dips and rises of the land along the ocean, but also features breathtaking views of the water and the Blasket islands off in the distance. “Breathtaking, amazing, spectacular, friendly and fun” That’s how the organizers describe the Galway Bay Run, which runs through the Latin Quarter of Galway City, past Claddagh Quay and along the majestic coast road with views of the Burren in County Clare across the waters of Galway Bay.